The U.S. Consumer Product Safety Commission (CPSC) knows of children who died when lids of containers used for toy storage fell on their heads or necks. There have been incidents of permanent brain damage. Many deaths involved products specifically manufactured as toy boxes or chests, although children have died in other containers used for toy storage, such as trunks, footlockers, decorator cubes, and blanket chests. Fatal suffocation incidents have also happened when children climbed into storage containers such as cedar chests to play or hide and became trapped. Typically, accidents occurred when children used the chest to pull themselves up, causing the lid to fall from the upright, open position, and when young children attempted to open the lids themselves. Children were reaching over and into the chest when the lid dropped and either fell on their heads or trapped them at the neck between the lid and the edge of the toy chest. Open chests or bins which have no lids; chests with lightweight, removable lids; or chests with sliding doors or panels will not present the risk of a falling lid. If they do choose a new toy chest with a vertically opening lid, parents should look for a chest which uses a lid support that will hold the lid open in any position in which it is placed. Parents should check the support provided to make sure that it does, in fact, prevent the lid from falling. If consumers already own a chest or trunk that has a freely falling, hinged lid, CPSC recommends that the lid be completely removed to avert possible tragedy. Alternatively, parents may wish to install a lid support which will hold the lid open in any position. Once a support is installed, it is important to check it frequently to make certain that it is working properly. Some supports may need to be adjusted or tightened periodically so that they continue to hold the lid open. with Toy Chest Lids.” For more information, please visit www.cpsc.gov. When making paper decorations, look for materials labeled non-combustible or flame-resistant. Never place trimming near open flames or electrical connections. Remove all wrapping papers from tree and fireplace areas immediately after presents are opened. Do not burn papers in the fireplace. A flash fire may result as wrappings ignite suddenly and burn intensely. Use only non-combustible or flame-resistant materials. Wear gloves while decorating with spun glass “angel hair” to avoid irritation to eyes and skin. Choose tinsel or artificial icicles or plastic or nonleaded metals. Leaded materials are hazardous if ingested by children. In homes with small children, take special care to: Avoid decorations that are sharp or breakable. Keep trimmings with small removable parts out of the reach of children. Pieces could be swallowed or inhaled. Avoid trimmings that resemble candy or food. A child could eat them! Never use lighted candles on a tree or near other evergreens. Always use non-flammable holders. Keep candles away from other decorations and wrapping paper. Place candles where they cannot be knocked down or blown over. Fasten outdoor lights securely to trees, house, walls or other firm support to protect from wind damage. The above is an excerpt from the article, “Holiday Decoration Safety.” For more information, please visit www.cpsc.gov. Never use lighted candles near trees, boughs, curtains/drapes, or with any potentially flammable item. Wear gloves while decorating with spun glass “angel hair.” It can irritate your eyes and skin. A common substitute is non-flammable cotton. When spraying artificial snow on windows or other surfaces, be sure to follow the directions carefully. These sprays can irritate your lungs if you inhale them. Small children may think holiday plants look good enough to eat, but many plants may be poisonous or cause severe stomach problems. Plants to be careful around are mistletoe, holly berries, Jerusalem cherries and amaryllis. Keep all of these plants out of children’s reach. When displaying a natural tree, cut about two inches off the trunk and place the tree in a sturdy, water-holding stand. Keep the tree well watered so it does not dry out quickly – dry branches can catch fire from the heat of light bulbs. If you use an artificial tree, chose one that is tested and labeled as fire resistant. Artificial trees with built-in electrical systems should have the Underwriters Laboratory (UL) label. Stand your tree away from fireplaces, radiators and other heat sources. Make sure the tree does not block foot traffic or doorways. Avoid placing breakable tree ornaments, or ones with small, detachable parts, on lower branches where small children or pets can reach them. Only use indoor lights indoors (and only o utdoor lights outdoors). Look for the UL label. Check lights for broken or cracked sockets, frayed or bare wires and loose connections. Replace or repair any damaged light sets. Use no more than three light sets on any one extension cord. Extension cords should be placed against the wall to avoid tripping hazards, but do not run cords under rugs, around furniture legs or across doorways. Turn off all lights on trees and decorations when you go to bed or leave the house. Unplug extension cords when not in use. When displaying outdoor lights, fasten them firmly to a secure support with insulated staples or hooks to avoid wind damage. Never nail, tack or stress wiring when hanging lights and keep plugs off the ground and away from puddles and snow. The above is an excerpt from the article, “Holiday Safety Tips.” For more information, please visit www.nsc.org. Sharp edges New toys intended for children under eight years of age should be free of sharp glass and metal edges. With use, however, older toys may break, exposing cutting edges. Small Parts The law bans small parts in toys intended for children under three. This includes removable small eyes and noses on stuffed toys and dolls, and small, removable squeakers on squeeze toys. Loud Noises Toy caps and some noise-making guns and other toys can produce sounds at noise levels that can damage hearing. Do not fire closer than one foot to the ear. Do not use indoors. Cords and Strings Toys with long strings or cords are dangerous for infants and very young children. The cords can become wrapped around an infant’s neck, causing strangulation. Never hang toys with long strings, cords, loops, or ribbons in cribs or playpens where children can become entangled. Remove crib gyms from the crib when the child can pull up on hands and knees; some children have strangled when they fell across crib gyms stretched across the crib. Sharp Points Toys which have been broken may have dangerous points or prongs. Stuffed toys may have wires inside the toy which could cut or stab if exposed. A CPSC regulation prohibits sharp points in new toys and other articles intended for use by children under eight years of age. Propelled Objects Projectiles—guided missiles and similar flying toys—can be turned into weapons and can injure eyes in particular. Children should never be permitted to play with hobby or sporting equipment that has sharp points. Arrows or darts used by children should have soft cork tips, rubber suction cups or other protective tips intended to prevent injury. Check to be sure the tips are secure. Avoid those dart guns or other toys which might be capable of firing articles not intended for use in the toy, such as pencils or nails. Electric Toys Electric toys must meet mandatory requirements for maximum surface temperatures, electrical construction and prominent warning labels. Electric toys with heating elements are recommended only for children over eight years old. Children should be taught to use electric toys properly, cautiously and under adult supervision. Infant Toys Infant toys, such as rattles, squeeze toys, and teethers, should be large enough so that they cannot enter and become lodged in an infant’s throat. The above is an excerpt from the pamphlet, “Think Toy Safety… By knowing toy dangers.” For more information, please visit www.cpsp.gov. Choose toys with care. Keep in mind the child’s age, interests and skill level. Look for quality design and construction in all toys for all ages. Look for other safety labels including: “Flame retardant/Flame resistant” on fabric products and “Washable/hygienic materials” on stuffed toys and dolls. Check all toys periodically for breakage and potential hazards. A damaged or dangerous toy should be thrown away or repaired immediately. d with splinters should be sanded smooth. Examine all outdoor toys regularly for rust or weak parts that could become hazardous. Teach children to put their toys safely away on shelves or in a toy chest after playing to prevent trips and falls. Toy boxes, too, should be checked for safety. Use a toy chest that has a lid that will stay open in any position to which it is raised, and will not fall unexpectedly on a child. For extra safety, be sure there are ventilation holes for fresh air. Watch for sharp edges that could cut and hinges that could pinch or squeeze. See that toys used outdoors are stored after play—rain or dew can rust or damage a variety of toys and toy parts creating hazards. When putting up holiday decorations, always use the proper step stool or ladder to reach high places. Don’t stand on chairs, desks or other furniture. If you have to use a step ladder near a doorway, lock or barricade the door and post signs so no one will open it and knock you off the ladder. When you climb, always face the ladder and grip the rungs to climb – not the side rails. Always keep three points of contact on the ladder whether two hands and one foot, or two feet and one hand. When climbing, keep your hips between the side rails and do not lean too far or overreach. Reposition the ladder closer to the work instead. Use ladders with slip-resistant feet and wear clean, dry and slip-resistant shoes when climbing a ladder. When using ladders outdoors, get down immediately if high winds, rain, snow or other inclement weather begins. Winds can blow you off the ladder and rain or snow can make both the rungs and the ground slippery. Thanks to online sales and some retailers starting the holiday shopping season earlier every year, many gift-givers have already begun to purchase items to get a jump-start on their lists. But sometimes, the best deal may not be the safest. Prevent Blindness America, the nation’s oldest non-profit eye health and safety group, wants everyone to make sure that all gifts purchased, especially for children, are safe. In 2010, the U.S. Consumer Product Safety Commission (CPSC) estimated that hospital emergency rooms across the country treated 251,700 toy-related injuries. And, 72 percent of those injuries were to those under the age of 15. Prevent Blindness America has declared December as Safe Toys and Gifts Month in an effort to help adults make the best decisions on how to keep the holiday season joyful for everyone. The group is offering toy-buying and gift-giving tips to all those planning to purchase a gift for a child this year. Make recommendations to family members and friends about gifts that you feel are appropriate for your child. Be diligent about inspecting these gifts before allowing your child to play with them. Inspect all toys before purchasing. Monitor toys that your child has received as gifts to make sure they are appropriate for your child’s age and developmental level. For younger children, avoid play sets with small magnets and make sure batteries are secured within the toy. If magnets or batteries are ingested, serious injuries and/or d eath can occur. Gifts of sports equipment should always be accompanied by protective gear (such as a basketball along with eye goggles or a face guard with a new batting helmet for baseball or softball). Any toy that is labeled “supervision required” must always be used in the presence of an adult. Keep toys meant for older children away from younger ones. Always save the warranties and directions for every toy. If possible, include a gift receipt. Repair or throw away damaged toys. Avoid toys that shoot or include parts that fly off. Inspect toys for sturdiness. 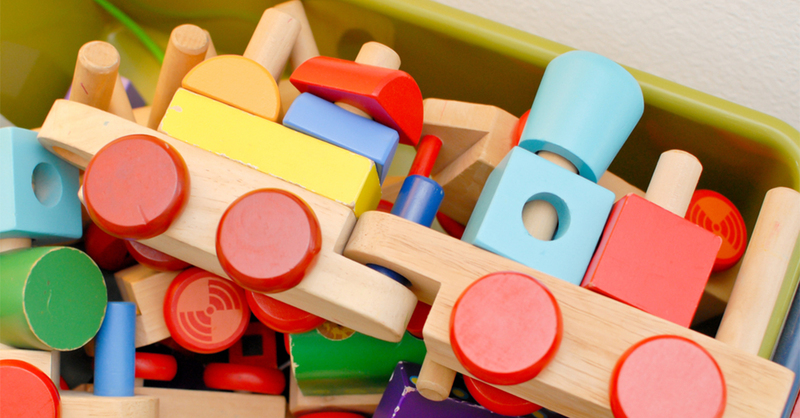 Your child’s toys should be durable, with no sharp edges or points. The toys should also withstand impact. Dispose of plastic wrapping material immediately on toys as they may have sharp edges. Don’t give toys with small parts to young children. Young kids tend to put things in their mouths, increasing the risk of choking. If the part of a toy can fit in a toilet paper roll, the toy is not appropriate for children under the age of 3. Do not purchase toys with long strings or cords, especially for infants and very young children as this can become wrapped around a child’s neck. Always dispose of uninflated or broken balloons immediately. According to the CPSC, more children have suffocated from them than any other type of toy. For more information on safe toys and gifts for children as well as general children’s eye health topics, please contact Prevent Blindness America by calling (800) 331-2020. The above is an excerpt from the article, “Make Safe Toys and Gifts Part of Your Holidays.” For more information, please visit www.preventblindess.org. When bent between your fingers, fresh needles do not break. When the trunk of a tree is bounced on the ground, a shower of falling needles shows that tree is too dry. Place tree away from fireplaces, radiators and other heat sources. Heated rooms dry trees out rapidly, creating fire hazards. Cut off about two inches of the trunk to expose fresh wood for better water absorption. Trim away branches as necessary to set tree trunk in the base of a sturdy, water-holding stand with wide spread feet. Keep the stand filled with water while the tree is indoors. Place the tree out of the way of traffic and do not block doorways. Use thin guy-wires to secure a large tree to walls or ceiling. These wires are almost invisible. The above is an excerpt adapted from the article, “Holiday Decoration Safety Tips.” For more information, please visit www.cpsc.gov. As bargain hunters take to the Web this Cyber Monday in search of holiday deals, the Stop.Think.Connect.™ Campaign reminds online shoppers to be wary of the cybersecurity risks of theft, fraud and abuse. While many businesses offer great deals during the holiday season, cyber criminals may try to take advantage of unsuspecting online shoppers. Follow these simple steps to protect yourself and your personal information online – and remember: If a deal seems too good to be true, it probably is. Protect your $$: When banking and shopping, check to be sure the site is security enabled. Look for web addresses with https:// or shttp:// , which means the site takes extra measures to help secure your information. http:// is not secure. Use a credit card – There are laws to limit your liability for fraudulent credit card charges, and you may not have the same level of protection when using your debit card. Check your statements – Keep a record of your purchases and copies of confirmation pages, and compare them to your bank statements. If there is a discrepancy, report it immediately. As always, keep your operating system, browser, anti-virus and other critical software up to date. Security updates and patches are available for free from major companies. Cybersecurity is a shared responsibility and each of us has a role to play. For more basic tips to stay safe while shopping online, visit www.dhs.gov/files/cybersecurity.shtm. The above is an excerpt from the article, “On Cyber Monday, Don’t Let a Cyber Grinch Steal Your Holiday Spirit…Or Your Passwords.” For more information, please visit www.dhs.gov. During the Thanksgiving holiday weekend in 2012, over 300 people were killed in traffic crashes across the nation. 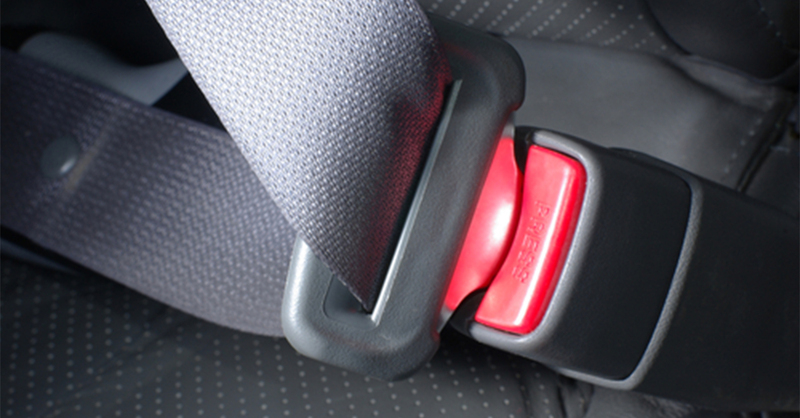 Tragically, 60% of those killed were not buckled up. Buckle Up America. Every Trip. Every Time. Click It or Ticket. The above is the video,“Fake-A-Rooney.” For more info, please visit www.dot.gov.